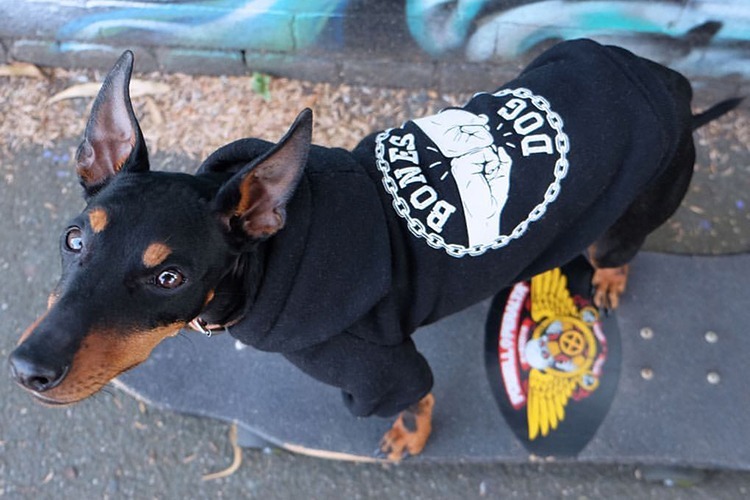 Life has been ruff for dogs in Melbourne. While any old human can enjoy the city’s famed café culture, the same cannot be said for its canine citizens. Sure, a few places welcome man’s best friend, and a few might even serve a nice frothy puppuccino. But for any pampered pooch looking for somewhere to sit, stay and enjoy their own feed, well, they’ve been doggone out of luck. Until now. 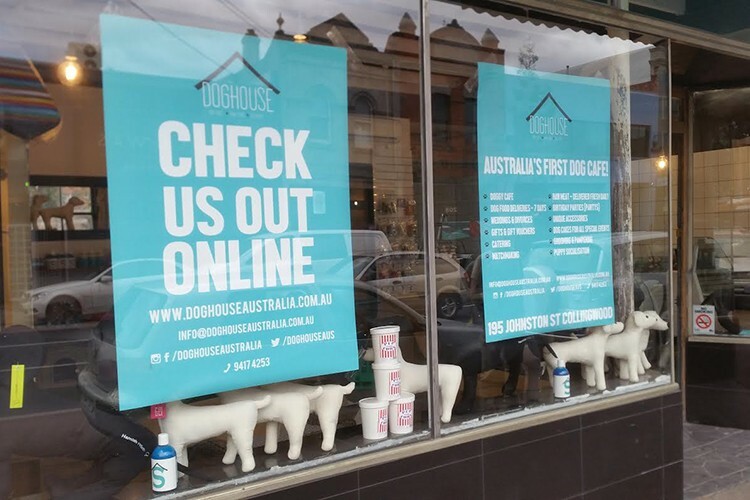 Anuj Yadav and Charles Fernandez are opening Melbourne’s first dog café, Dog House, in early July – and pet owners everywhere are going barking mad with excitement! Dog House will sell raw grass-fed beef, as well as kangaroo, crocodile, emu and other game meats to satisfy even the hungriest hound. There will also be cookies, doughnuts, cakes and muffins made with ingredients such as chicken stock, chickpea flour and carob. Ten gated booths will be available in the courtyard for doggy dining, while their owners chow down on coffee and sandwiches. There will also be herbal shampoos on sale, and costumes for all the puppy princes and princesses of Instagram. There is also the potential for the venue to host dog birthday parties and weddings – we’ll just paws for a second to let that idea sink in. Overall, we have to say it sounds quite fetching, and we’re sure every man and his dog will show up to the opening. We had a chat to Anuj to learn more. Hi Anuj, thanks for taking the time to chat to us. Can you tell us a bit about your background? I have an events company called C4 Promotions Pty Ltd. I have been doing events for over 20 years now and have toured international artists across Australia, New Zealand and Papua New Guinea. How did you come up with the concept of opening a cafe dedicated to dogs? The idea has been a year in the making. It all started with finding good fresh meat for the dogs. There aren’t many stores that actually cater to that. The idea was to start a butcher store for dogs and complement it with deliveries. The idea then grew into having a dedicated store for dogs where our four-legged friends could come in with their owners and have a meal with them. We have created a space to have birthday parties and even weddings if need be – the opportunities are limitless for our canine friends. We are trying to source unique items from all over the world including tea, pupcorn, handmade collars, costumes, hoodies, jackets, etc. Dog House is set to serve up good-quality dog food like raw grass-fed beef, kangaroo, crocodile, emu and other game meats. Where do you source the food? All of our food suppliers are from Australia. They all provide to top restaurants around Melbourne because we are sourcing the same meats that humans consume. Who says ice cream is just for humans? There will also be a tasty selection of nutritious doggie nibbles on offer made with ingredients like chicken stock, chickpea flour and carob. How do you come up with ideas for treats? 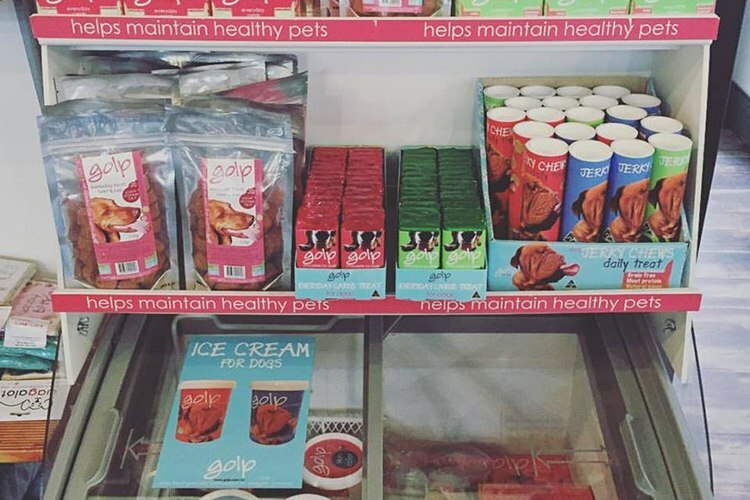 We did a lot of research and found ingredients that were dog-friendly and also sourced suppliers that were already producing dog-friendly treats in the market. What other fun features of Dog House can pooches and patrons expect? We will constantly be adding more ideas to Dog House as we start to operate. I believe the customers will be pleasantly surprised. We can’t wait to check it out! What’s your favourite type of dog and why? I love all dogs as they all have different personalities and they all look different. If I could I would have every breed possible. We’re with you on that one! When Fido is well-fed and you’re feeling peckish, where do you love to go for a great meal in the area? I love a lot of different cuisines, but lately I have been trying out Sweet Salt (fish & chips) which is at 296 High Street in Northcote. Their burgers are incredible! 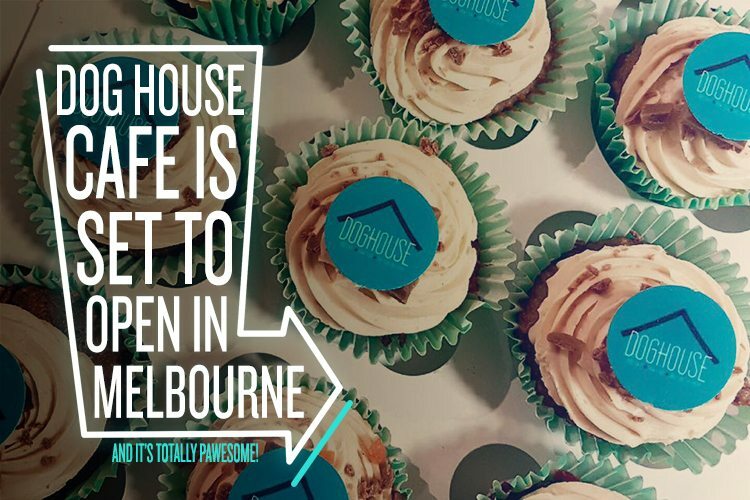 Dog House is set to open at 195 Johnston St, Collingwood. For all the latest updates, head to their website or Facebook page!